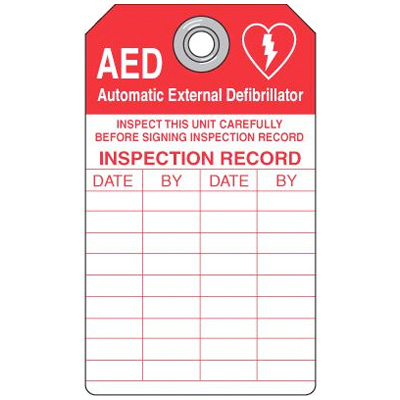 AED inventory tags reads "Inspect This Unit Carefully Before Signing Inspection Record"
AED Automatic External Defibrillator. Inspect this unit carefully before signing inspection record. Inspection record. Date. By. Date. By.